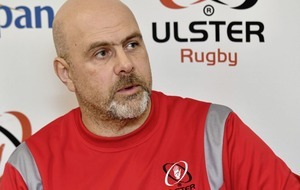 Ulster head coach Neil Doak has made two personnel changes and one positional switch to the team that recorded a bonus point win over Ospreys last weekend for tomorrow afternoon’s Guinness PRO12 game against Scarlets in West Wales (kick off 3pm). Andrew Trimble was unavailable for selection having suffered a hip flexor strain, therefore Craig Gilroy switches flanks and starts on the right wing, with Rory Scholes coming in on the left for the Parc Y Scarlets clash. 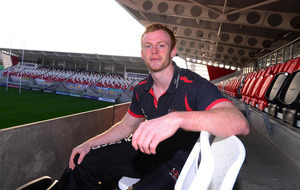 The other change comes in the pack, with Peter Browne starting his first competitive game for Ulster in the second row in place of Dan Tuohy. The rest of the starting XV is unchanged with Louis Ludik named at fullback and Luke Marshall paired with Stuart McCloskey in midfield. Peter Nelson retains the Number 10 jersey and starts in the half-backs alongside Paul Marshall who wins his 148th cap for the province. The tight five sees a front row of Andrew Warwick, captain Rob Herring and Wiehahn Herbst, with Franco van der Merwe partnering Browne in the second row. Willie Faloon and Roger Wilson star either side of Nick Williams who is selected at Number 8. Callum Black returns from an arm injury to take up a place on the replacements bench. He is joined by fellow forwards John Andrew, Ricky Lutton, Robbie Diack and Clive Ross. Backs, David Shanahan, Sam Arnold and David Busby complete the squad. 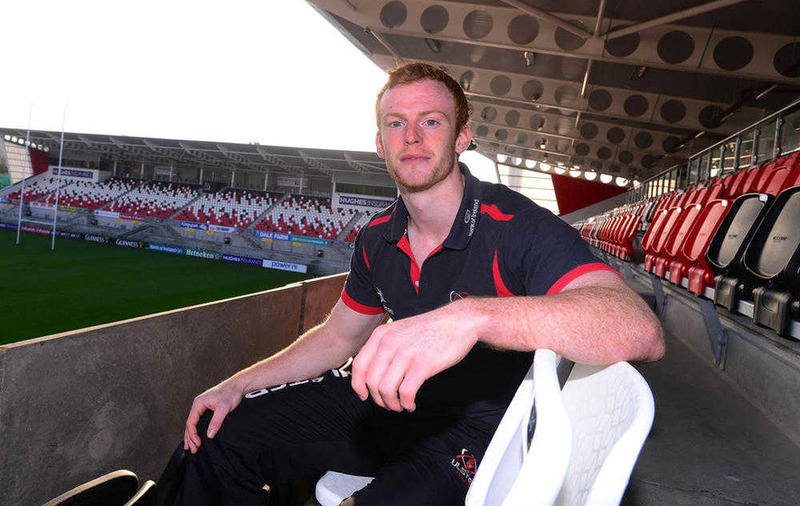 Fullback, Busby, who has represented Ireland U20s and Ulster A, will play his first senior game for the province if called upon. 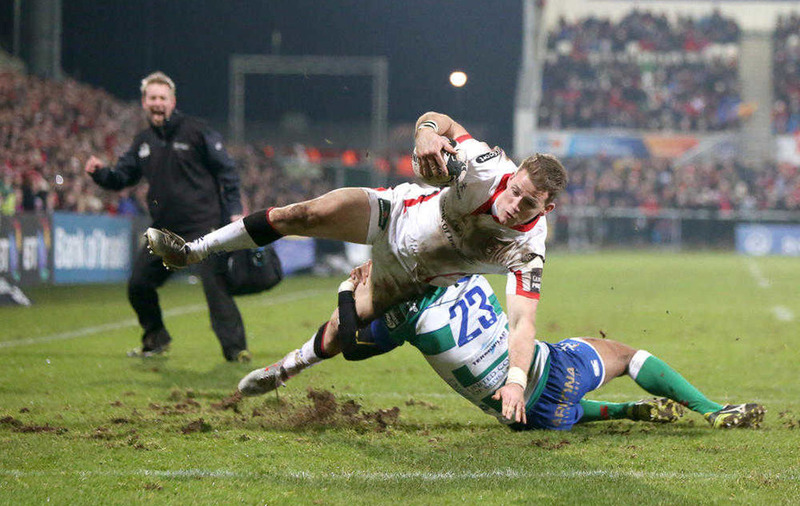 The game is live on Sky Sports and BBC Radio Ulster. Ulster team and replacements to play Scarlets: (15-9): Louis Ludik, Craig Gilroy, Luke Marshall, Stuart McCloskey, Rory Scholes, Peter Nelson, Paul Marshall; (1-8): Andrew Warwick, Rob Herring (Captain), Wiehahn Herbst, Peter Browne, Franco Van der Merwe, Roger Wilson, Willie Faloon, Nick Williams. Replacements (16-23): John Andrew, Callum Black, Ricky Lutton, Robbie Diack, Clive Ross, David Shanahan, Sam Arnold, David Busby.